Elizabeth Chapman Shires, 86, of Martinsville, VA passed away Sunday, October 14, 2018 at Blue Ridge Rehab. She was born March 15, 1932 in Martinsville, VA to the late Robert Chapman and Vinnie Kelly Chapman. In addition to her parents, she was preceded in death by her husband, James Maxwell Shires; four sisters and seven brothers. Mrs. Shires owned/operated a hair salon. She is survived by her daughters, Connie Shires Brewer and husband, Jeff of Collinsville, VA and Cindy Shires Deal and husband, David of Martinsville, VA; grandchildren, Emily Ray and husband, Dan of Baltimore, MD and Hilary Keller and husband, Jason of Martinsville, VA; and great-grandchildren, Olivia and Madalyn. A memorial service will be held at 7:30 p.m. on Wednesday, October 17, 2018 at Norris Funeral Services, Martinsville Chapel with Minister Tim Hunt officiating. Visitation will be prior to the service from 6 p.m. to 7:30 p.m. on Wednesday, October 17, 2018 at Norris Funeral Services. Burial will be private. In lieu of flowers, memorial donations may be made to Duke Breast Cancer Center, 20 Duke Medicine Circle, Duke Breast Clinic 2-2, Durham, NC 27710 or to St. Jude Children’s Research Hospital, 501 St. Jude Place, Memphis, TN 38105. Norris Funeral Services, Inc. and Crematory of Martinsville, VA is serving the Shires family. To send flowers or a remembrance gift to the family of Elizabeth Chapman Shires, please visit our Tribute Store. 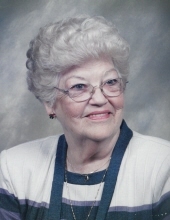 "Email Address" would like to share the life celebration of Elizabeth Chapman Shires. Click on the "link" to go to share a favorite memory or leave a condolence message for the family.